Let’s face it: the influencer industry grew at such a pace in the region that multiple problems preceded –and demanded– the newly enforced UAE legislation. From issues surrounding inflated pricing and “diva” demands, to concerns about fake followers and lack of accountability, a definite stigma has been circulating around the term “influencer” for quite some time. Despite these issues, the fact remains that, when done right, influencer marketing is the most effective way to reach relevant audiences and build brand loyalty, which is why it will continue to spiral into a multi-billion-dollar industry over the next five years. 3. Influencers can get registered under an official NMC-approved influencer agency. By allowing influencers the opportunity to register under NMC-approved agencies, influencers can now continue to work on brand collaborations, without footing the cost of an individual license, so long as they are registered exclusively with one agency. This is a move that will not only assist with market regulation but will also allow for creative partnerships between brands and influencers to flourish. The need for influencer marketing platforms and agencies stems from the social shift that’s happening on a global level. Rather than using one or two macro influencers, brands are investing in the micro influencers, with the assistance of platforms that can assist with the logistics, insights, and performance of running such campaigns effectively. In a nutshell, a group of micro-influencers can achieve the same (or better) results as a macro-influencer for a lot less money! While their following maybe smaller in size, they have highly-engaged and trusted audiences who follow them as a result of shared interests, whether that be fitness, beauty, travel etc. On top of that, the engagement percentage of a micro is significantly higher than that of a macro, so when you group them together, you can tap into multiple audiences and measure a far greater impact overall. It’s evident that brands are now waking up to the over-commercialization of macro-influencers; they are tapping into the behavioral trends of their consumers who are statistically proven to be much more likely to follow the recommendation made by a micro. Overall, it’s about targeting your key consumers and ensuring you reach them through the right people. Working with micro-influencers is not only a move that triggers better ROI, it is also a safer option for brands since the micros do not have the celebrity status that can cause a global outcry. Brand Ripplr determines levels of engagement and delivers relevant, quantifiable data for those investing in influencer marketing campaigns, thus taking out key “risks” for businesses and brands. As anyone with a vested interest in influencer marketing knows, finding genuine influencers is also a real issue in the industry; you have to distinguish between big numbers and real influence. We’re all aware of fake accounts, fake followers, and fake engagement– this all exists in today’s social sphere. However, platforms -like Brand Ripplr- are implementing tech solutions that allow for a vigorous vetting process. This means being able to detect the real from the fake and deliver insights on influencer audiences, alongside data-centric campaign results. There are thousands claiming the “influencer status,” but brands need to understand the data behind the social media masks in order to determine whether or not these influencers have real influence– audience size, engagement, audience demographics all need to be analyzed. As such, platforms –like Brand Ripplr– have evolved to facilitate the process through from start to finish. How do influencer platforms follow in the footsteps of the NMC? Whether you’re an individual, an SME, or a big brand, the same industry frustrations exist when trying to bring an influencer marketing campaign to life. The proven benefits of influencer marketing has seen the digital advertising spend shifting to accommodate influencer campaigns; however, the reality is that it is a difficult, time-consuming, and very manual process. For such reasons, influencer platforms are stepping in to offer solutions. 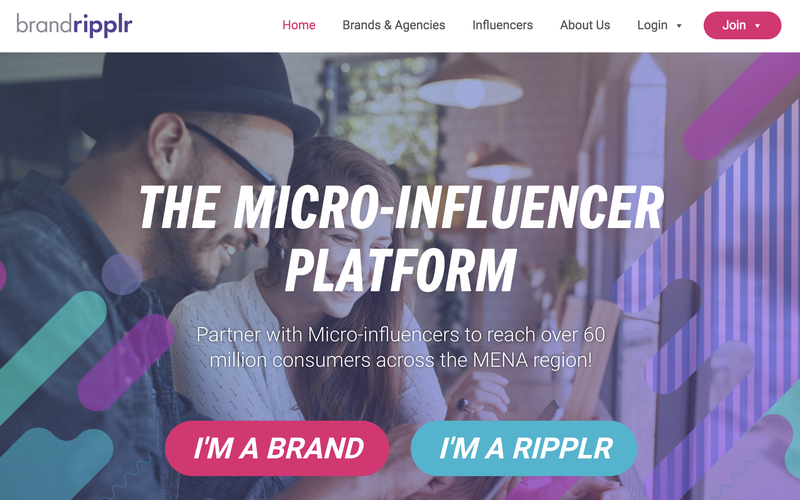 Brand Ripplr, the region’s largest influencer platform, is following in the NMC’s footsteps when it comes to advocating not only the transparency of paid collaborations, but also the transparency of its influencer terms. Brand Ripplr will not shut the door on brand opportunities for its influencers, and neither will it charge additional costs to brands. The reasons behind this are simple: we want our influencers to have the ability to create content with a variety of brands. They also need the flexibility to work with the right brand and, likewise, brands need the flexibility to tap into the right talent. Brand Ripplr has always been on a mission to connect brands with regional talent; first and foremost, the platform’s mission is to ensure that creative content ripples across social platforms and does so transparently, while meeting all e-media regulations. Unless the likes of Facebook, Instagram, YouTube, and Snapchat disappear, influencer marketing won’t be going anywhere. Brands will need to work with ad-tech platforms and connect with aligned content creators for compelling campaigns that can reach relevant audiences via social media channels. The introduction of the UAE’s e-media regulations is a sure sign that all parties -influencers, brands, agencies and consumers- need to understand, more than ever, the importance of transparency and step up to global advertising standards. Influencer marketing is here to stay, so it’s time for us all to become more socially savvy, budget conscious and data driven.